*some assembly required: Another Quickie, another garage bites the dust! Another Quickie, another garage bites the dust! We did a Quickie Consultation with Oscar and Jenna in Wooten on Saturday. Like many of our clients, they bought a small-ish home in a great Central Austin neighborhood and they'd like to have a bit more space for their family. Fortunately, their house has a large one-car garage that was built within the envelope of their existing roof and foundation. It's ready-made for re-purposing- in this case for a new bedroom, bath and laundry room that creates a great new suite for the house at a minimal cost and minimal trauma during construction. Some of our Quickies are simple enough to enable us to do some "quick and dirty" sketching. 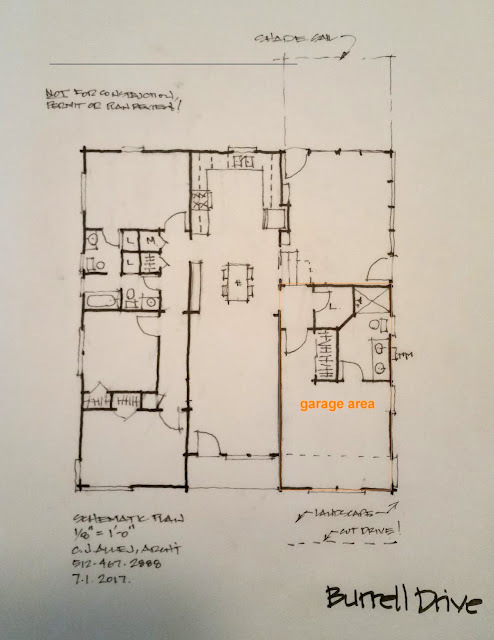 In this case, we cranked out a very quick floor plan (below) that shows how the garage space (lower right) can be leveraged to make the whole house work better. We'll be available to work with the homeowners as they go forward to refine this plan and create permit plans, or they can work with a building designer to generate plans. Our clients are always shocked to see how big their garages are in comparison to the rooms in their existing house. 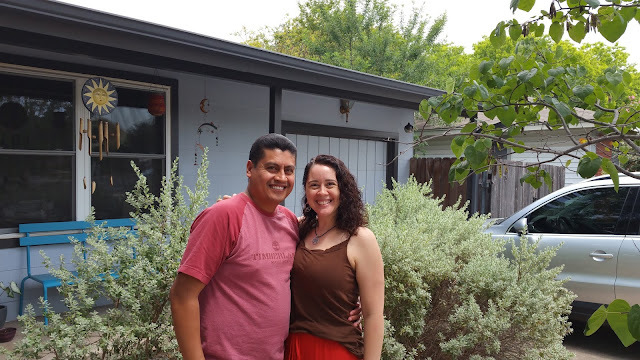 It's amazing to show them how much better their home can be with the garage dedicated to FAMILY space, rather than lawnmowers, bikes, and old cans of paint.